The best of mellow milk to creamy caramel and luscious white. Never ever any alcohol. Join our Tasting Club Chocolate Subscription and you will never want to go to supermarket chocolate again. 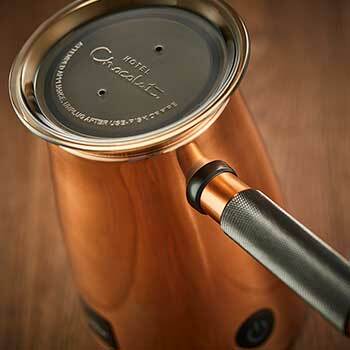 At Hotel Chocolat cocoa is our number one ingredient. More cocoa, less sugar is our mantra. 'Using more cocoa, whilst maintaining balanced and mellow flavours without bitterness is one of our skills'. Only nature supplies our flavours, not artificial additives with absolutely no compromise on taste ever! Imagine how good they taste. As a member, you’ll get an amazing chocolate experience delivered straight to your door every month, with a varied selection to choose from. You can influence future selections through your scores and even send in your own recipe ideas. And you can change or cancel any time. Each box is unique, chosen by our own in-house team of expert chocolatiers. They invent new recipes every month to debut alongside a lovingly chosen selection of classics and high-scorers. Your first box will be delivered straight to your letterbox in 5 days. 350.00 g / 12.40 oz.